It’s now early February, and I’m actually on the road in Orlando at the NVX Conference- where thousands of veterinarians like me are taking classes and continuing to learn about the latest trends in our industry. It’s also National Dental Health Month- so I’ve been looking out for some updated information on dental care for your pets to share with you here in my blog, and in the hospital when your pets come in to visit. Outside of some new equipment and techniques that I was really interested in learning about, the stats on dental disease in pets really hasn’t changed all that much over the past few years (sigh). The fact of the matter is that close to 80% of pets over the age of three still have some form of periodontal disease. A 2013 study by VPI, a leading veterinary pet insurance company, shows that the cost of routine preventative care is $171 versus the cost to treat dental disease at $531 (these are 2013 costs). Grade Zero: Almost perfect oral health, usually found only in dogs or cats under one year of age. Grade One: Mild gingivitis and plaque are present. A grade 1 condition is most likely reversible with brushing and appropriate chewing. Grade Two: Mild to moderate tartar (mineralized plaque and bacteria) and gingivitis are present on multiple teeth. Gingivitis is usually reversible after professional scaling and polishing. Grade Three: Heavy tartar and periodontal disease with bone loss are present. With grade 3 patients, oral pain is likely. Tooth lesions and fractures may be present under tartar. We typically recommend dental X-rays to fully evaluate bone loss and tooth health. Grade 4: Your pet is in pain. It is likely affecting their overall well-being, eating habits and demeanor. Multiple extractions are possibly required pending the review of a full-mouth x-ray which would be required. What is involved in a pets dental cleaning? What can I do to help my pets teeth at home? Don’t indulge your pet’s sweet tooth since sugar can encourage bacterial growth. Regularly give your pet an OraVet Chew, Veggie Dent Chew or TVH oral health care chew to help keep tartar and plaque at bay. Not only are dental chews a great way to keep your pet’s teeth clean but is a way fun away to keep your pet entertained for hours. There are many other products on the market, ask your veterinarian which one would be best for your pet. Many chews available through grocery stores or other markets may contain preservatives or other additives which may not be good for your pet. 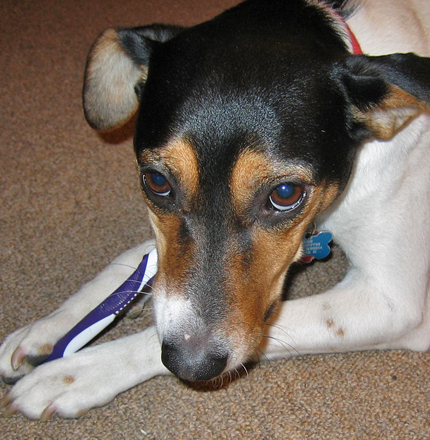 Brush your pet’s teeth on a routine basis, two to three times per week. 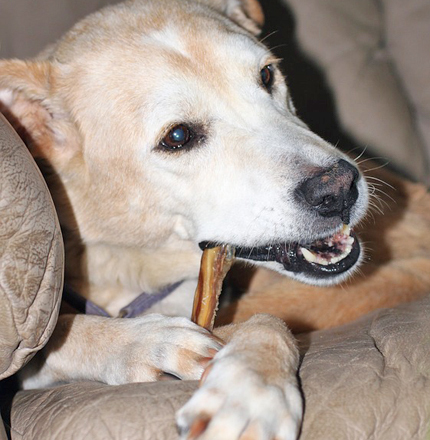 Although dental chews are a great, they should not substitute for a good teeth brushing. Purchase a special pet toothpaste & toothbrush, never use human toothpaste since pet’s can not spit or rinse. The key to successful teeth brushing is to start your pet off slowly for your pet to adapt, be gentle and use positive reinforcement. We are always happy to show you how to get your pet started with tooth brushing- just ask us during your next visit! February is ‘officially’ Dental Health Month, but we are recognizing it beginning in January- so we are offering all dental services and dental related products at 10% off. Call us today at 813-254-3031 to schedule a dental cleaning for your pet!